Born in Italy, Elena Colombi has since relocated to London, setting up a successful series of events since 2008 that have made her a staple name of its underground. Now a respected DJ and radio host on NTS, Elena’s musical style taps into a wide array of influences, from Industrial rhythms, pulsing techno, ambient atmospheres, synthesised sounds, freaky disco, balearic love affairs, proto-house, anything goes in her dynamic sets. Throughout last year Elena has made significant moves in her DJ career, making her Japanese debut at AOYAMA Zero, playing at Amsterdam’s De School, as well as playing Säule and Panoramabar in Berlin, Paris’ Concrete Paris, Opium in Vilnius & Rabitsa in Moscow. On the festival circuit she’s made appearances at ADE, Field Day, Lente Kabinet and Field Maneuvers, and appeared at Dekmantel Sao Paolo earlier this year, while being tapped at the festival’s flagship Amsterdam event, as well as the intimate Dekmantel Selectors Croatia. 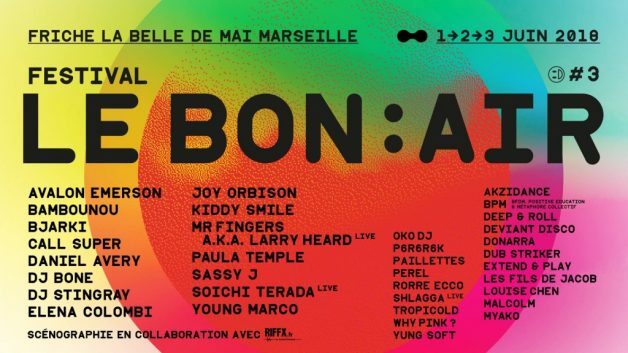 This weekend, Elena will take to Marseille’s Festival Le Bon Air where she shares the space with the likes of Avalon Emerson, Call Super, Sassy J, Young Marco and more of the course of its three days. Here, anticipating the event, we caught up with Elena a she travels the world to discuss London, travel, and more. In reading on your background and researching this interview, the act of travel seems to play a lot into your influence and motivations. Of course, traveling is a big part of being an International artist as well but, can you tell us, what were your first experiences with travel? Where were you going? Why? Apparently I have enjoyed being on the move even from before I can remember. I was one of those kids who never sleeps and the only way to make me doze off was to drive me around by car. Poor parents! But the first images I can recall are probably those of winter holidays spent in India. More specifically places like Osho’s Ashram in Poona or Puducherry, where I used to spend afternoons with two Australian women who were studying music there, or a small village in Kerala where my family and I spent weeks with no potable water and no electricity every day after sunset. All the places I visited have been special in their own way, but I think Thailand holds the strongest memories. My family relocated there for a couple of years during my late teens. I spent the first year with them and then realized the time for my solo journey had come, so I left. What have been some of your personal favorite destinations and/or cultures to explore? It’s hard to chose to be honest. My visit to Tokyo last year was a memorable one for sure. I had a fantastic time there, I hope I’ll get to go back to Japan very soon and perhaps stay a little longer, see more of it. I’m really fascinated by this country. A friend from London relocated there recently too, so would be good to visit him. On the flipside, as an International artist, travel can get quite rigorous. Do you have any rituals or processes to keep grounded and mindful during your intense periods of travel? No rituals as such… I am not into routines, I often forget essentials, I am always leaving stuff behind. The way I spend my time getting somewhere differs a lot also. I can be in a working mood and super productive or in a chilled zone. Some transfers can get particularly trippy if I had little or no time to rest. Sleep deprivation can go two ways as well, it can be mentally and physically exhausting but it can trigger a lot of creativity too, somehow rearranging the way you experience your surroundings and thoughts. What then brought on your re-location from Italy to London in 2008? Was it strictly for the music scene? Yes! I felt the music scene in Milan wasn’t diverse enough for me so I moved to London with a one way ticket and the will to discover. Talk about your early days in London and the first few parties. What were some of the challenges you were meeting? When did you start thinking that things were picking up and that this would now be what you did? During the first six months spent here I was still promoting events in Milan. I would fly back once a month for the weekend and come back straight after. At this time I was going out as much as I could. I witnessed many nights and venues that don’t exist anymore and after a year or so decided I was ready to do my own thing. “Ready” perhaps isn’t the right word though, the way events were curated and managed in Italy was so different… I had to learn as I went along, mainly from making mistakes. I had all sorts of accidents happening during those nights and money-wise it was super hard, but if I could go back I’d do it all over again. Ending up DJing full time was never planned. Weirdly what started getting me more gigs was taking a break from running regular nights. That’s when my NTS show started and things kind of took off. Now, what are your impressions of London? Do you see its scene to be rich and inclusive? What is it lacking? What makes it unique to other major market scenes? I find London very beautiful, multi-cultural, and yes definitely very rich musically, it is still one of my favourite places. I think the club crowds do miss some diversity but I can’t pinpoint the reason behind it. In June you will be at Le Bon Air. What is your relationship like with the festival? How did your appearance there come to be? That event is held in Marseille. Have you played the citybefore? If so, what were your impressions? How did you see the underground electronic scene in France as a whole? It will be my first time DJing in Marseille, yes! I only visited the city briefly last year and liked what I saw. I’m really looking forward to playing at the festival. Some time off in June, going back to South America in July, playing Dekmantel and Selectors in August, LattexPlux and Polifonic festivals in Italy, Field Manoeuvres and DJing in Australia for the first time in September.